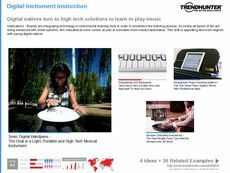 Find Better Ideas, Faster ® with a custom educational play trend report, our PRO Dashboard and 80+ categories of premium trend reports. 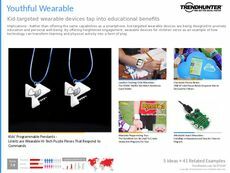 The Educational Play Trend Report follows the rising trend of toys, games and playtime gadgets that promote learning. STEM toys have been getting a lot of attention recently, especially with empowering games and campaigns for girls. Robotics for kids is also on the rise, with apps and gadgets that teach children how to build and code toys. This report is geared towards game and app developers for kids, children's toy store owners and children's educators. Toy product packaging designers as well as marketing teams will also highly benefit from this, understanding how to better brand toys and games as integral parts for educational play. 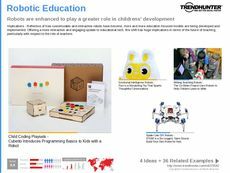 This Educational Play Trend Report includes things like music-making, coding and empowering toys that make children want to learn.